Tutto il real estate può essere locale, ma quando si tratta di immobili di prestigio, è anche globale. Coldwell Banker Previews International ® con il suo ultimo Report sul mercato del lusso (Luxury Market Report 2014) ha dimostrato ancora una volta che questo adagio è vero. Il rapporto registra i trend immobiliari e le attività di mercato nelle enclavi esclusive del lusso come Beverly Hills e dei mercati in ascesa come Istanbul, fornendo un ampio quadro del panorama delle abitazioni di lusso. Luxury Market Index: il Luxury Market Index risponde alla domanda: “Quali sono i mercati immobiliari di lusso ad avere avuto i migliori risultati complessivi?” Per la prima volta in questo settore, l’indice mette a confronto l’attività immobiliare di 100 mercati del lusso negli Stati Uniti, utilizzando come misure i dati annuali delle unità vendute, il volume, media e mediana di prezzo di vendita e altro. I risultati dell’indice sono destinati a darvi una comprensione più oggettiva del mercato immobiliare di lusso nel suo complesso. Mercato nazionale (sempre USA): sogni le Hawaii? Potresti desiderare di esplorare mercato di Honolulu per prima cosa. Acquirenti benestanti provenienti da Stati Uniti, Canada, Pacifico e Asia stanno facendo un tuffo nella capitale delle Hawaii, mentre la prima enclave di clienti extra lusso approdata lungo la costa di Honolulu sta vivendo una grande rinascita. E se siete più in vena di una città come New York invece? Potreste trovare interessante la comparazione dei quattro codici postali Manhattan, soprattutto per farvi un’idea più precisa di quanto più (o meno) possa valere il vostro investimento. Mercato internazionale: Turchia. La Turchia è diventata un mercato del lusso in rapida crescita, con Istanbul come sua perla. La città “dove l’oriente incontra l’occidente” ha visto un’ampia crescita di una classe abbiente che inizia a richiedere una più ampia varietà di prodotti e di esperienze di lusso, comprese le proprietà di fascia alta. All real estate may be local—but when it comes to luxury, it’s also global. Coldwell Banker Previews International® has proven that adage true once again with its latest Luxury Market Report. The report tracks real estate trends and market activity in top luxury enclaves like Beverly Hills and up-and-coming markets like Istanbul, providing a broad picture of the luxury housing landscape. Here is a snapshot of what’s inside the first Luxury Market Report of 2014. Luxury Market Index—The Luxury Market Index answers the question, “Which luxury housing markets are performing best overall?” As the first of its kind for the industry, the index compares the real estate activity of 100 luxury markets across the United States, using measurements such as annualized sales in units, volume, average and median sale price and others. The index results are intended to give you a better, more objective understanding of the luxury real estate marketplace as a whole. Previews Top 20: ZIP Codes and Cities for Luxury Sales and Listings—If you’re wondering which markets are selling the most luxury homes or have the highest inventory levels, look no further than this popular list. New York typically leads the price charts—but expect some surprises this year. San Francisco topped the list of U.S. cities with the highest number of closed sales in the $1 million+ category for the first time. Newcomers Seattle and Austin also joined the list. (Could the booming tech industry be partly responsible?) Florida also made a strong showing in active listings in the $1 million+ and $10 million+ categories. Domestic Spotlights—Dreaming of Hawaii? You might want to explore the Domestic Spotlight on Honolulu first. Affluent homebuyers from the U.S. mainland, Canada, Pacific Basin and Asia are making a splash in Hawaii’s capital city, while a prime ultra luxury enclave along the Honolulu coastline is experiencing a major renaissance. And if you’re more in a New York state of mind? You might find the comparison of four Manhattan Zip codes interesting—especially if you want an idea of how much more (or less) you’ll get for your dollar. International Spotlight: Turkey—Turkey has become a fast-growing affluent market, with Istanbul as its pearl. The “East meets West” city has seen a maturing upper class that has demanded a wider variety of luxury products and experiences, including high-end homes. Want to know more? 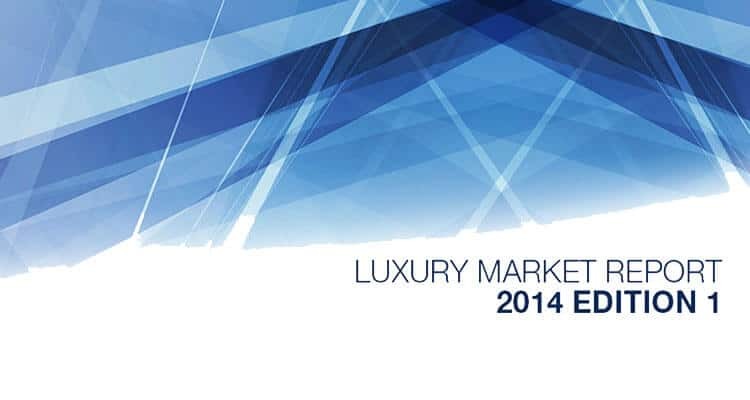 Download the full edition of the Luxury Market Report here.